Million thanks, Ann, for your greeting card! Remember we all love you! Send our Mother's Day greeting to your Mom, too! 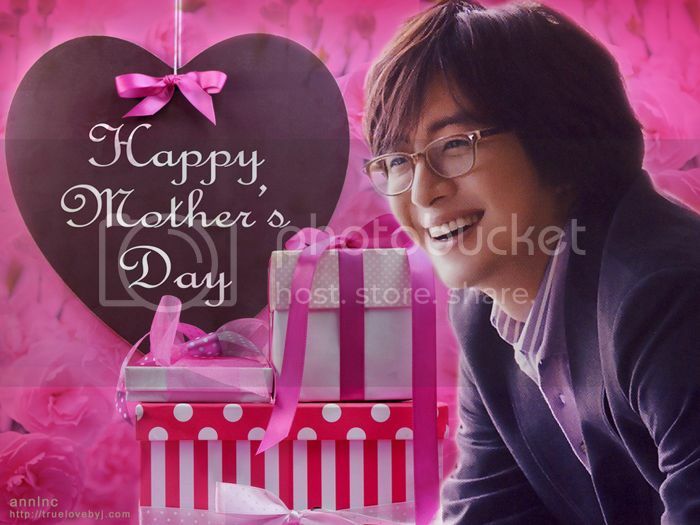 Before I go out for Mother's Day yummy lunch, I have to let you know that the above Mother's Day Card is a " HIT" on facebook BYJ group that I am in. Check it out! Sorry I didn't wait for your "GO" for me to post it on facebook. But I cannot resist my eagerness to share it to with our Baesisters from all over the world. Thank you a million again for your Mother's Day gift to us! Thank you, dear Ann! You are always in our hearts and thoughts no matter where you are, whatever you are doing and how you are. Regards and love to your MOM. her for me, okay?